Made from aircraft quality teflon lined stainless steel lines and AN fittings. Not a universal line with adapters, these are custom made to our specifications. 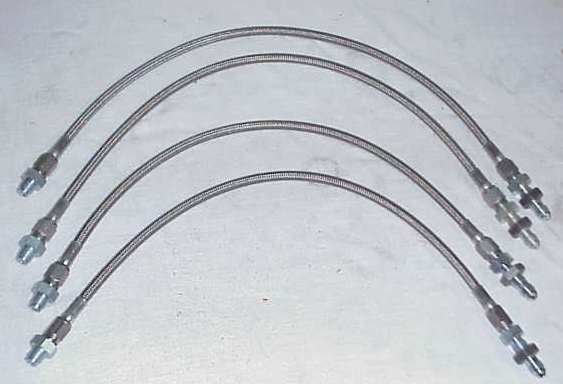 These replace the old rubber brake lines on your Pantera.